Music Together® Class for Children with Special Needs. At Music Together, we know all children are musical! Do you work with families of children with special needs? We offer weekly classes on site and provide families as well as staff with the support and tools necessary to participate in fun, educational, and joyous music-making opportunities. Research studies suggest that music facilitates cognitive and emotional growth and stimulates social interaction, and playing musically together is a wonderful family bonding experience. Through guided musical experiences in weekly 45-minute classes, parents and children will find new ways to explore music and express themselves. 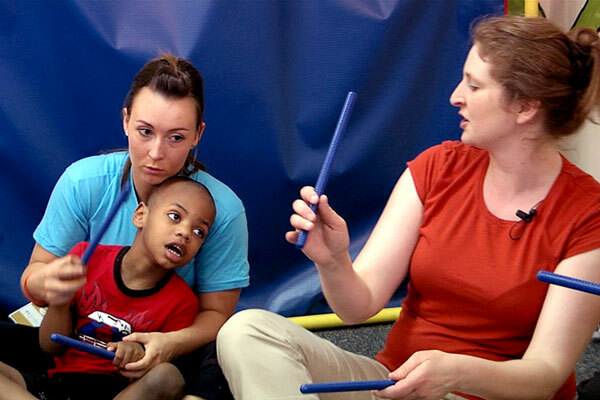 At Music Together, music is learned through developmentally appropriate activities that support and respect the learning styles of all participants. Everyone is encouraged to participate at their own developmental level. Parents and their children will become part of a community of families sharing songs, instrument play, and movement activities in a relaxed, non-performance-oriented setting. In addition to weekly fun, musically rich classes, families will receive two copies of this semester’s recording and an illustrated songbook so they can continue the family music-making at home. 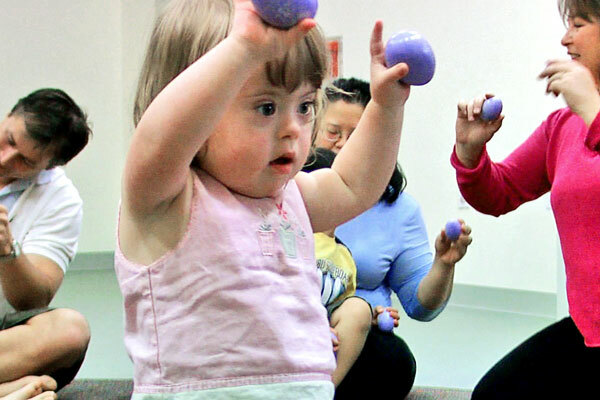 Our Supportive Family classes are for children with special needs ages birth through early elementary.